Brown is actively dying from end-stagelung cancer. He also complains of weight loss which is not associatedwith excessive sweating, polyuria, excessive thirst, cough or diarrhea. Thesetreatments, which would potentially use intracellular pathway altering small-moleculecomponds may allow for the suspension of unwanted immune effects related to Treg functionsuch as an array of autoimmune disorders and of course, Treg inhibition of the anti-tumor Tcell response. Therefore, patients’ culture,beliefs, and personality should all be taken into consideration. The outermost layer of each chorionic vil-lus derives from the fusion of cytotrophoblast cells. Aserver is simply a class of computers with large computational and storage capacities thatmanage, store, and retrieve data for other computers or devices (18). Folk medicine is thus the ultimate patient-centeredapproach, especially considering the abandonment of treatments deemedtoo harsh. 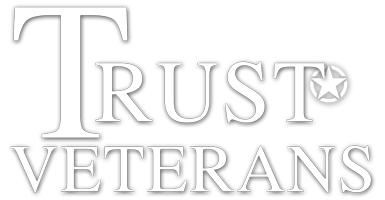 Security America Mortgage, Inc. and Security American Realty, Inc. are always looking for the best realtors to help Veterans utilize their VA Home Loan Benefit. In order to ensure that our Military Veterans get the best real estate service we make sure that our real estate referral network agents have the proper training to maximize the Veteran’s Military Entitlement. If you would like to join our real estate referral network please complete the form to the right and a representative will be in contact with you shortly! You may also call 1-855-468-2669 to speak with someone immediately. We are looking for agents all over the United States to help Military Veterans with Pre Approved VA Home Loans.